Quality – This replaces the current PQRS measures. Doctors will continue submitting these measures for this score. Advancing Care Initiative – This replaces Meaningful Use. Again, doctors will continue reporting that same information to receive this score. Cost – This measures how much it costs the government for you to see a Medicare or Medicaid patient. These four numbers are composited together and compared to your peers’ numbers to formulate your score and determine your reimbursements. Compliance could potentially result in bonuses (if you do better than your peers), while noncompliance could decrease your final reimbursements. 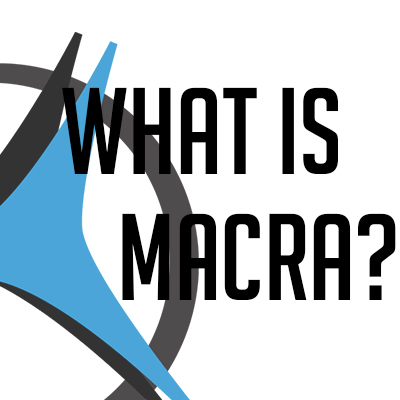 This can seem complicated and overwhelming, but with the right data and information, you can determine how you can—and to what extent you should—comply with MACRA. This is where programs like the Virtual Practice Management Institute (VPMI) can help you. With your unique Virtual Practice Optimization (VPO) analysis and coaching from experts who understand what you’re going through, you can make the best decisions for your practice and your needs. If you’d like to learn more about MACRA, or you’d like more information about the VPMI program, contact Top Practices! You can reach us by e-mailing [email protected] or calling (717) 725-2679.